Make sure to shave all treatment areas the day before your treatment. Preparation is key for optimal results and to prevent any discomfort during your session. Stop all other methods of hair removal (i.e. waxing, tweezing, electrolysis) at least 3-4 weeks prior to treatment and in between sessions. Exfoliate ONE week post treatment and up until ONE week BEFORE your next session. Pre and post care instructions at your initial treatment which must be followed before and after each session for the most effective and safest treatments. It is recommended that in between treatments, to refrain from any methods other than shaving, such as waxing, threading, tweezing, plucking, etc. Treatments can absolutely be performed during all seasons, including summer. Refrain from excessive sun exposure and spray tans in between treatments. Example: when traveling to warmer climates, be sure to book your appointment at least two weeks before or after to avoid injury to the skin. We do NOT treat over tattoos. 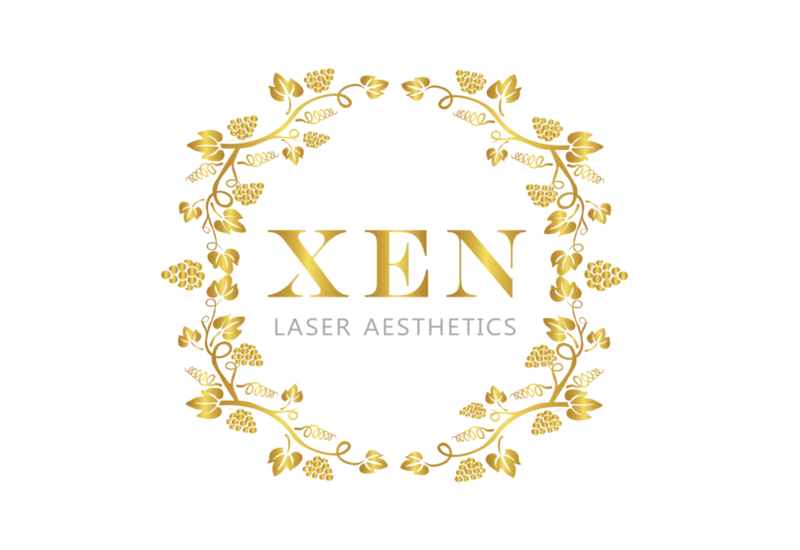 The lasers wavelengths are attracted to darker pigments, resulting in possible raising or removal over tattoos. All treatments must be performed around such areas. Short term effects may include: reddening, a mild burning sensation, temporary bruising or blistering, hyper-pigmentation or hypo-pigmentation have also been noted after treatment. Conditions as such usually resolved in three to six month, but permanent color change is a rare risk. Avoid excessive sun exposure 2-3 weeks before or after treatment and wear sunscreen at all times for treated area. Allergic Reactions: Although all treatments are performed in safe and sanitary environment, an allergic reaction could possibly be an effect of irritated follicles during treatment, or a systemic reaction, as a result from prescription medicines. There is risk of scarring. Please inform licensed technician of all medical history and any current information prior to every treatment to avoid possible injury to the skin. Infection: Infection following treatment is highly unlikely, but bacterial, fungal and viral infections can occur. This applies to individuals with a past history of herpes simplex virus infections and individuals with no known history of herpes simplex virus infections around mouth area. Should any type of skin infection occur, medical antibiotics, along with additional treatments may be necessary. Bleeding: Pinpoint bleeding is extremely rare, but may occur following treatment procedures. Most bleeding may occur from same day shaving of treatment area. Bleeding could also be due to the usage of , i.e. : blood thinners, and additional treatments may be necessary. Compliance with aftercare guidelines is crucial for healing, prevention of scarring and hyperpigmentation. Results vary on the individual due to Hormonal imbalances and changes (PCOS), some medications and treatment area. Facial hair or hormonal areas, may require more treatments sessions than the rest of the body. During your initial consultation the technician will be able to assess the treatment area and provide a better indication of the amount of treatments that may be required. Maintenance sessions may also be required after a course of treatments. There are three main growth phases and Laser Hair Removal is the most effective at the Anagen phase. It will vary from person to person, depending on pain tolerance or threshold. Most will say that waxing is worse! We use Candela’s Dynamic Cooling Device™ (DCD™) which sprays cryogen cooling air onto the skin during the treatment to cool and protect the skin, making the treatment as comfortable as possible. A chemical peel is an exfoliating solution applied to the skin, to first disrupt the skin's barrier, which speeds up the skin’s natural healing process, revealing rejuvenated skin. Depending on the personally customized or preferred peel, light flaking or sheets of skin will slough off beginning 48 hours post treatment application. This peel process may last from 3-10 days. An appointment on a Wednesday will lead to post peeling beginning on a Friday and last until approximately Tuesday. Majority of peeling will begin in the center and end around the hairline and jawline. An at home skin care regimen may be recommended before commencing treatment depending on skin concerns and skin type. An at home skin care regimen will be required after commencing treatment depending on skin concerns and customized peel service. What is a Vamp Facial? A Vamp Facial short for Vampire Facial, also known as skin needling, is a collagen induction therapy treatment. It is a minimally invasive, non-surgical and non- ablative procedure for skin rejuvenation of the face and/or body. When using a micro-needling device, the purpose it to create controlled micro injuries. These micro injuries speed up the body's natural wound healing process and collagen production. What are the benefits of a Vamp Facial? What to expect after a Vamp Facial? Right after the treatment the skin will appear red and flushed. Any tightness and redness that appears may last 24-48 hrs. During the healing process, the skin may appear slightly dry and flaky, with minor swelling. Results may vary from depending on individual needs, but a series of 4-6 sessions are recommended. Post week of treatment will reveal a much more rejuvenated appearance underneath. How long will it take for my skin to clear of acne? We can't give an exact time frame, but it is important to stick with routine treatments and proper homecare. Everyone's skin different so the outcome may vary depending on the treatment. Have patience and know that sometimes acne can become worse before it gets better, but it indeed gets better. All treatments must be performed once every 2-4 weeks for optimal results. A homecare regimen is optional, but highly recommended to maintain and protect your skin care investment. Any waxing, laser, or injection treatment must be performed 2-3 weeks before or after any services. Please contact your medical provider for any further inquiries.